I've developed a series of mentoring services and online training products to help busy professionals learn simple, practical methods to attract and win clients. Depending on your long-term goals and your current priorities I'm sure one of these programs will be a good fit for you. If you need help deciding which program would work best for you, drop me a message via the chat box near the bottom of the screen. The Authority Breakthrough Program is my flagship training and mentoring program where I work with you directly to help you become seen as an Authority in your field..
We build your Distinctive Point of View: the content that will position you as an Authority and make you stand out in the marketplace. We create powerful Authority marketing campaigns that give value in advance to your ideal clients and reach them directly. We build a consistent follow-up system to deepen your Authority and build credibility and trust with your ideal clients. The program is delivered through a combination of video training, tools & templates, group and 1-1 calls. 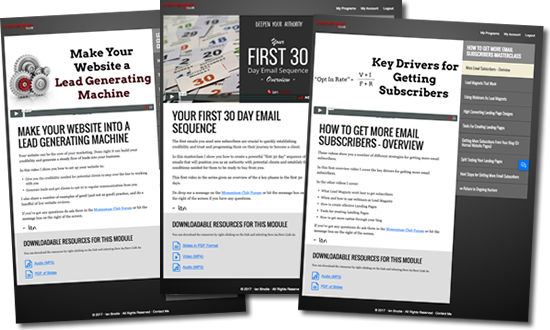 Momentum Club where I share the most effective methods for winning clients via detailed training videos, live webinars and marketing critiques. 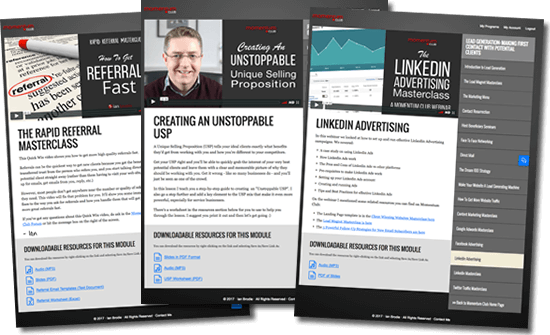 Members get immediate access to all my step-by-step guides on how to generate leads, nurture relationship, and convert potential clients into paying clients. We cover everything from face to face networking and presentations to websites, social media and pay-per-click, through email marketing and personal nurturing, to sales meetings and webinars. There's also a monthly “hot topic” webinar and a forum where I answer any marketing and sales related questions from members. And after a month of membership, you get to submit one piece of marketing a month to me for detailed personal feedback. Membership is just $97 per month (+ 20% VAT for UK/EU citizens). 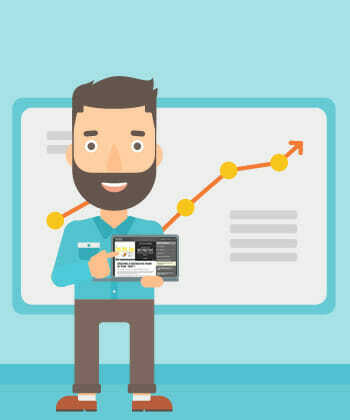 Your website is the “central hub” of your marketing. It's the first place people come to find out more about you, and it plays a core role in generating leads through content marketing. Yet so many small and solo businesses websites actively repel clients rather than attract them. In an ideal world, you'd be able to hire a marketing-savvy web developer to create a great website for you without it costing the earth. In the real world, web designers who understand marketing are few and far between and can charge a huge premium. A solid alternative if you have decent technical skills and the time available is to build your own site. It's what I do. 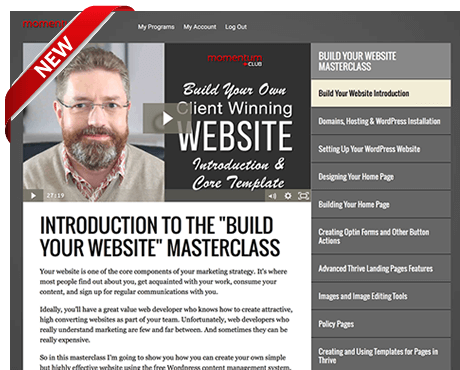 In the Build Your Own Client-Winning Website Course I show you the most effective designs for a professional website today and how to implement those designs on your own site using WordPress. The course covers the best designs for your Home Page, About Me page, Contact Me page, your Services page, your blog and high-converting Landing Pages. I show you exactly how to build those pages using the Thrive Landing Pages plugin, and I give you templates for each of the designs you can upload to get you started so you just need to “fill in the blanks” rather than build them from scratch. 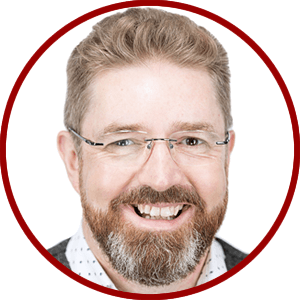 I also show you how to describe your value proposition on the home page, and what to include on each of the other pages to maximise your chances of turning a website visitor into a paying client.